Munich: Jupp Heynckes says Bayern Munich are waiting on the fitness of left-back David Alaba for Wednesday's crunch Champions League semi-final, first-leg, at home to Real Madrid. Corentin Tolisso also needs to shake off a bruised shin to compete for a midfield place. 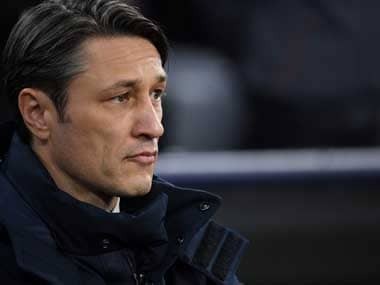 "We'll make a decision about them both early tomorrow (Wednesday) as to whether they will be in the squad," said Bayern head coach Heynckes. 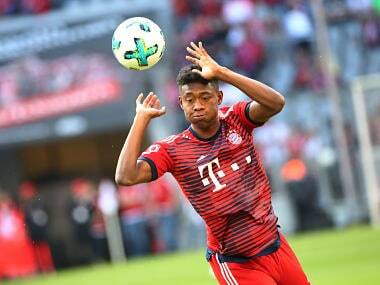 If Alaba drops out, Brazilian defender Rafinha will start. Tolisso is expected to start on the bench, if he is fit, with Javi Martinez in the defensive midfield. James Rodriguez and Thiago Alcantara are competing for a central midfield berth. Heynckes says Bayern are relishing a home semi-final against a Real team bidding to lift the Champions League trophy for the third straight season. 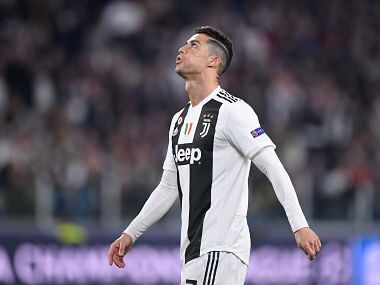 The Bavarians main task is subduing Cristiano Ronaldo who has scored 15 Champions League games and netted in each of Real's ten European matches this season. Real's goal-scoring superstar has hit the net 42 times in all competitions. He scored five goals over two legs in Madrid's 6-3 aggregate win over Bayern in the 2017 quarter-finals. "Of course, he's a big topic for us in the game analysis," said Heynckes when asked about Ronaldo. "But don't forget we have Robert Lewandowski, who has scored 39 goals. "So you have to ask, how can you stop Lewandowski?" Heynckes says there is no clear favourite for the Allianz Arena clash, but Real have won five of their last six matches against Bayern. The Spaniards inflicted the Bavarians' heaviest European home defeat when Ronaldo and Sergio Ramos both scored twice in a 4-0 thrashing in Munich in 2014. "The duel against Real has a great tradition," said Heynckes who has coached both clubs to the Champions League title, Real in 1998 and Bayern in 2013. "Of course, the semi-final offers a great stage. "There are world-class players on both sides." Defender Jerome Boateng said defeats in the knock-out stages to Real in both 2017 and 2014 will play no role. "It's not an issue for me, it may have been a bit unfair, but you should not quarrel too much with the past," said Boateng. Bayern failed to finish either of last year's quarter-final defeats to Real with 10 men. 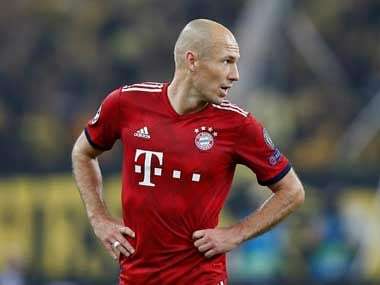 Javi Martinez was sent off in the home leg, which Bayern lost 2-1, and Arturo Vidal saw red when the Germans went down 4-2 in Madrid after extra-time. Both were for double yellow cards. The Germany defender can expect a busy night marking Ronaldo. "He is an unbelievable athlete, you can see that when he scores goals and pulls off his shirt," said Boateng. "He is a top player who has almost no weaknesses. "Real are especially dangerous on the counter-attack, especially up front. We can only stop him as a team."